potential factors which may affect this situation. clinical manifestations, and need of long-term prophylaxis. adherent to prophylactic treatment (P=0.008; P=0.018; P=0.028). long-term prophylaxis and the majority adhered to this treatment. The primary cause of non-adherence was fear of side effects. tedaviye uyumu ve bunları etkileyen olası faktörleri araştırmaktır. düzenli kullanmakta ve bu tedaviden fayda görmektedir. Uyumsuzluğun primer nedeni yan etki gelişimi korkusudur. 2. Zuraw BL. Hereditary angioedema. N Engl J Med 2008;359:1027-36. doi: 10.1056/NEJMcp0803977. 3. Gompels MM, Lock RJ, Abinun M, et al. C1 inhibitor deficiency: consensus document. Clin Exp Immunol 2005;139:379-94. 4. Zilberberg M, Jacobsen T, Tillotson G. The burden of hospitalizations and emergency department visits with hereditary angioedema and angioedema in the United States, 2007. Allergy Asthma Proc 2010;31:511-9. doi: 10.2500/ aap.2010.31.3403. 5. Roche O, Blanch A, Caballero T, Sastre N, Callejo D, Lopez- Trascasa M. Hereditary angioedema due to C1 inhibitor deficiency: patient registry and approach to the prevelance in Spain. Ann Allergy Asthma Immunol 2005;94:498-503. 6. Bygum A. Hereditary angioedema in Denmark: a nationwide survey. Br J Dermatol 2009;161:1153-8. doi: 10.1111/j.1365- 2133.2009.09366.x. 7. Craig T, Aygören-Pürsün E, Bork K, et al. WAO Guideline for the management of hereditary angioedema. World Allergy Organ J 2012;5:182-9. doi: 10.1097/ WOX.0b013e318279affa. 8. Caballero T, Baeza ML, Cabanas R, et al. Consensus statement on the diagnosis, management and the treatment of angioedema mediated by bradikynin. Part II. Treatment, follow up, and special situations. J Investig Allergol Clin Immunol 2011;21:422-41. 9. Costantino G, Casazza G, Bossi I, Duca P, Cicardi M. Longterm prophylaxis in hereditary angio-edema: a systematic review. BMJ Open 2012;2:e000524. doi: 10.1136/ bmjopen-2011-000524. 10. Wilson DA, Bork K, Shea EP, Rentz AM, Blaustein MB, Pullman WE. Economic costs associated with acute attacks and long term management of hereditary angioedema. Ann Allergy Asthma Immunol 2010;104:314-20. doi: 10.1016/j. anai.2010.01.024. 11. Lumry WR, Castaldo AJ, Vernon MK, Blaustein MB, Wilson DA, Horn PT. The humanistic burden of hereditary angioedem: Impact on health-related quality of life, productivity, and depression. Allergy Asthma Proc 2010;31:407-14. doi:10.2500/aap.2010.31.3394. 12. Nordenfelt P, Dawson S, Wahlgren CF, Lindfors A, Malbris L, Björkander J. Quantifying the burden of disease health state in patients with hereditary angiopedema in Sweeden. Allergy Asthma Proc 2014;35:185-90. doi: 10.2500/ aap.2014.35.3738. 13. Cabellero T, Aygören-Pürsün E, Bygum A, et al. The humanistic burden of hereditary angioedema: results from the Burden of Illness Study in Europe. Allergy Asthma Proc 2014;35:47-53. doi: 10.2500/aap.2013.34.3685. 14. Hughes DA, Bagust A, Haycox A, Walley T. Accounting for noncompliance in pharmacoeconomic evaluations. Pharmacoeconomics 2001;19:1185-97. 17. Squeglia V, Barbarino A, Bova M, et al. High attack frequency in patients with angioedema due to C1-inhibitor deficiency is a major determinant in switching to home therapy: a real-life observational study. Orphanet J Rare Dis 2016; 11:133.doi: 10.1186/s13023.016.0518-8. 18. Nordenfelt P, Nilsson M, Björkander J, Mallbris L, Lindfors A, Whalgren CF. Hereditary angioedema in Swedish adults: report from the national cohort. Acta Derm Venerol 2016;96:540-5. doi: 10.2340/00015.555.2274. 19. Gomez-Traseira C, Perez-Fernandez E, Lopez-Serrano MC, et al. Clinical pattern and acute and long-term management of hereditary angioedema due to C1-esterase inhibitor deficiency. J Investig Allergol Clin Immunol 2015;25:358- 64. 20. Zanichelli A, Vacchini R, Badini M, Penna V, Cicardi M. Standard care impact on angioedema because of hereditary C1 inhibitor deficiency: a 21-month prospective study in a cohort of 103 patients. Allergy 2011;66:192-6. doi: 10.1111/j.1398-9995.2010.02433.x. 21. Ren HL, Zhang HY. Clinical features of hereditary angioedema: analysis of 133 cases. Zhonghua Yi Xue Za Zhi 2007;87:2772-6. 22. Gelfand JA, Sherins RJ, Alling DW, Frank MM. Treatment of hereditary angioedema with Danazol. Reversal of clinical and biochemical abnormalities. N Engl J Med 1976;295:1444-8. doi: 10.1056/NEJM197.612.232952602. 23. Bork K, Bygum A, Hardt J. Benefits and risks of Danazol in hereditary angioedema: a long term survey of 118 patients. Ann Allergy Asthma Immunol 2008;100:153-61. doi: 10.1016/S1081-1206(10)60424-3. 24. Riedl MA. Critical appraisal of androgen use in hereditary angioedema: a systematic review. Ann Allergy Asthma Immunol 2015;114:281-8. doi: 10.1016/j.anai.2015.01.003. 26. Farkas H, Veszeli N, Csuka D, et al. Management of pregnancies in a hereditary angioedema patients after treatment with attenuated androgens since childhood. J Obstet Gynaecol 2015;35:89-90. doi: 10.3109/01443.615.2014.925860. 27. Zuraw BL, Busse PJ, White M, et al. Nanofiltered C1 inhibitor concentrate for treatment of hereditary angioedema. N Engl J Med 2010;363:513-22. doi: 10.1056/NEJMoa0805538. 29. Ucar R, Arslan S, Baran M, Caliskaner AZ. Difficulties encountered in the emergency department by patients with hereditary angioedema experiencing acute attacks. Allergy Asthma Proc 2016;37:72-5. doi: 10.2500/aap.2016.37.3905. 30. Kesim B, Uyguner ZO, Gelincik A, et al. 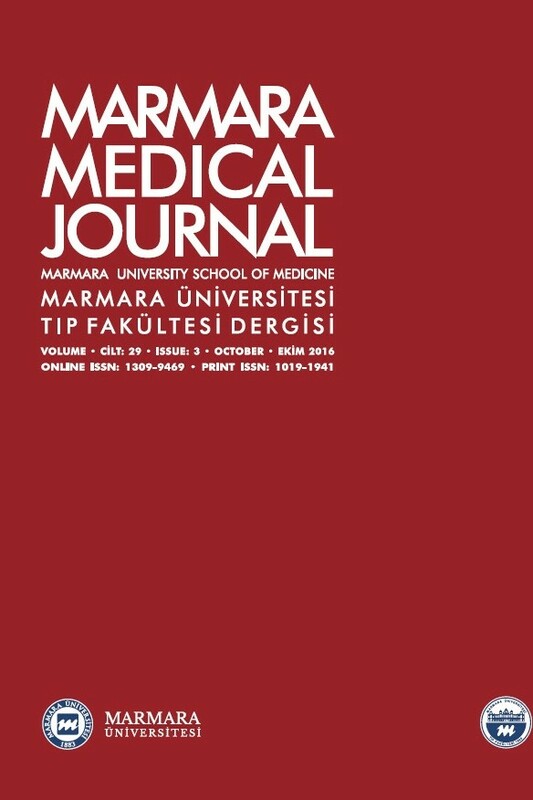 The Turkish hereditary angioedema pilot study (TURHAPS): the first Turkish series of hereditary angioedema. Int Arch Allergy Immunol 2011;156:443-50. doi:10.1159/000323915. 31. Zanichelli A, MagerlM, Longhurst H, Fabien V, Maurer M. Hereditary angioedema with C1 inhibitor deficiency: delay indiagnosis in Europe. Allergy Asthma Clin Immunol 2013;9:29. doi: 10.1186/1710-1492-9-29. 32. Frank MM, Gelfand JA, Atkinson JP. Herediatry angioedema: the clinical syndrome and its management. Ann Intern Med 1976;84:580-93. 33. Agostoni A, Aygören-Pürsün E, Binkley KE, et al. Hereditary and acquired angioedema: problems and progress: proceedings of the third C1 esterase inhibitör deficiency workshop and beyond. J Allergy Clin Immunol 2004;114(3 Suppl):S51-131. 34. Agostoni A. Cicardi M. Hereditary and acquired C1-inhibitor deficiency: biological and clinical characteristics in 235 patients. Medicine (Baltimore) 1992;71:206-15. 35. Bork K, Meng G, Staubach P, Hardt J. Hereditary angioedema: new findings concerning symptoms, affected organs, and course. Am J Med 2006;119:267-74.